Wow, I wonder where that was? 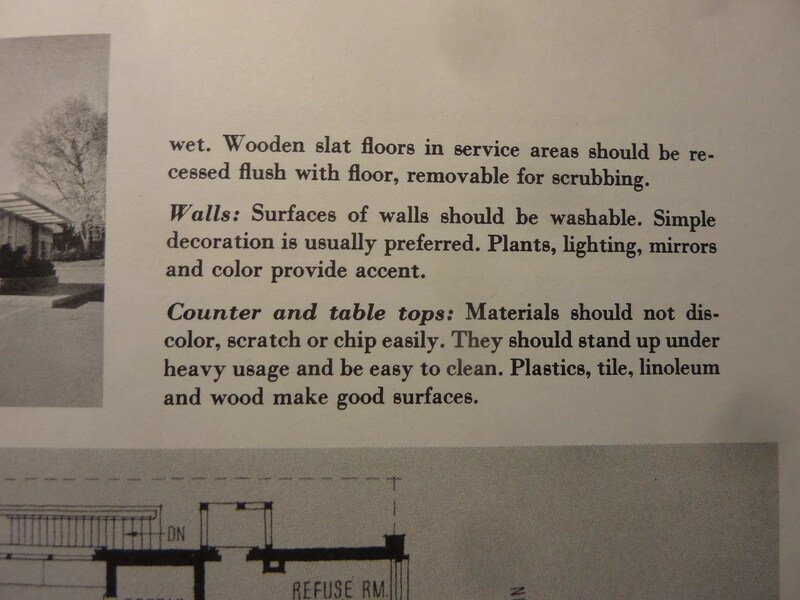 I’d be curious to go see if the building is/was still there and what it looks like today. Broad and Stenton in Oak Lane. Walked my dog around there many a day. Great hamburgers. This is NOT Broad and Stenton! It’s the Hot Shoppes at The Fairway and Old York Rd. in Abington Twp. which opened in 1961. 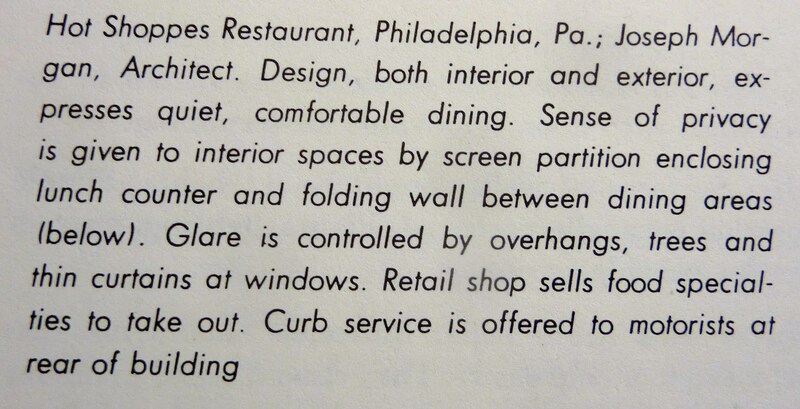 There were four Hot Shoppes restaurants in the Philly area. Broad & Hunting Park, Upper Darby, Broad and Stenton and Abington (Jenkintown). Also wasa nice Hot Shoppes Restaurant at Neshaminy, PA……At Neshaminy Mall. We used to eat there as a family dinner every Sunday through the 1970’s…. Never a Hot Shoppe at Neshaminy. 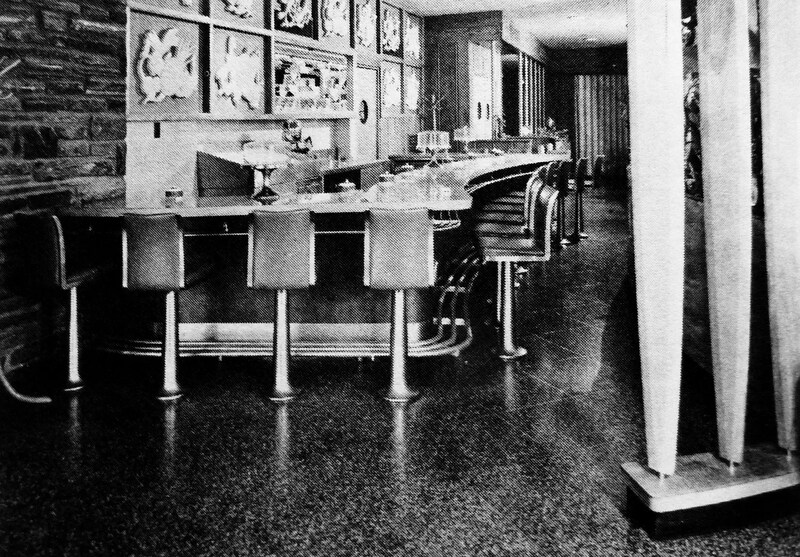 It was Harvest House, affiliated with Woolworth’s. Looks like there were a couple locations around Philly. Apparently just about all of them closed by the ’60s. Shifting interests within the company, out-competed by McDonalds in the Philly market. I can’t find any addresses, unfortunately, but I’d bet it’s long gone. On a related note- I have a fedora which belonged to J.W. Marriott Sr., owner of the Hot Shoppes (and Marriott hotel) chain. 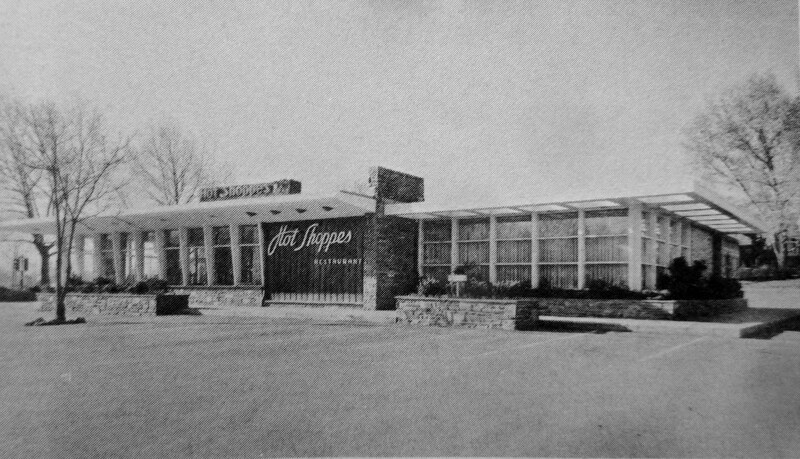 I have a childhood memory (confirmed by my mother) that there had been a Hot Shoppes Restaurant at the corner of Old York Road and The Fairway in Jenkintown. It’s been many years since I’ve been in that area and couldn’t tell you what stands at that location now. I’m pretty sure that “NOW” as in Today, 2013 the Famous “LEVIS HOTDOGS” of Philly Fame from 6th and Lombard Streets is located right there on the Fairway in Abington/Jenkintown. Elliot Hirsch, owner of the Famous “ELLIOT’S AMAZING” Juices wanted to buy the Rights to LEVIS Famous “CHAMP CHERRY” Soda. LEVIS would only see the “Entire Restaurant” Business. Elliot bought the whole business and opened a chain a a few LEVIS Hotdogs in the early 1990’s, but didn’t quite make it due to the quality(lack of) Employees that worked there. Young Kids that didn’t quite care. He did continue to sell the Famous “CHAMP CHERRY” and few other Famous Flavors of LEVIS Sodas. However, “NOW” He has just one “LEVIS HOTDOGS” Business Located right there on the Fairway in Abington-Jenkintown, serving the Original Recipe LEVIS Hotdogs, Fish Cakes, Pepper Hash and CHAMP CHERRY, etc….and all are of the Original Authentic Quality and Taste of the Old Original LEVIS Hotdogs from 1898. So a Piece of Philly History is once again!!! Try Them Out!! Excellent!! Actually, my dad designed the Levis that was on OYR, across from the Benjamin Fox Pavilion (or whatever it’s called now). The Barnes and Noble store onthe Fairway is on the site of the Hot Shoppes. There was another one on Broad & Stenton where the post office is. Nope, not Broad & Stenton, I worked there for several years. I had a great time working there, too! 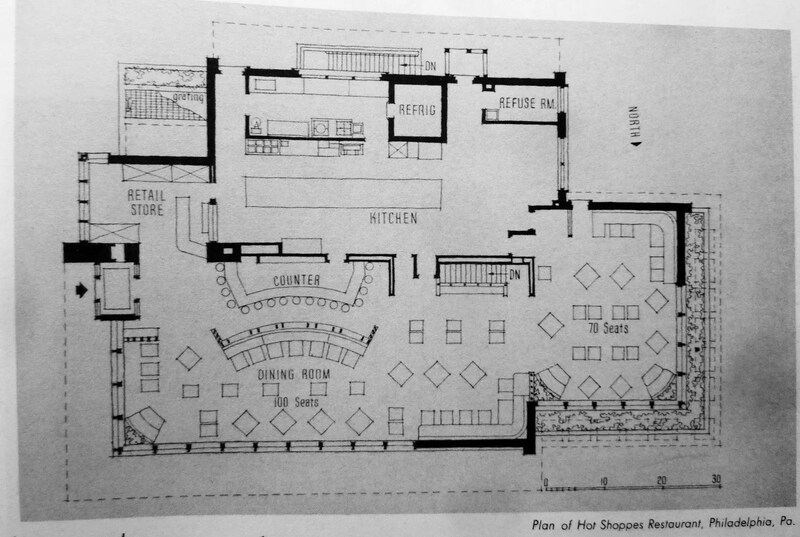 There was a Very Nice “Hot Shoppe’s” at/in Neshaminy Mall. We used to go as a Family, very often on Sunday afternoons after Mass. The Food was very Good, and I will never forget it!! I also had a “Jr. 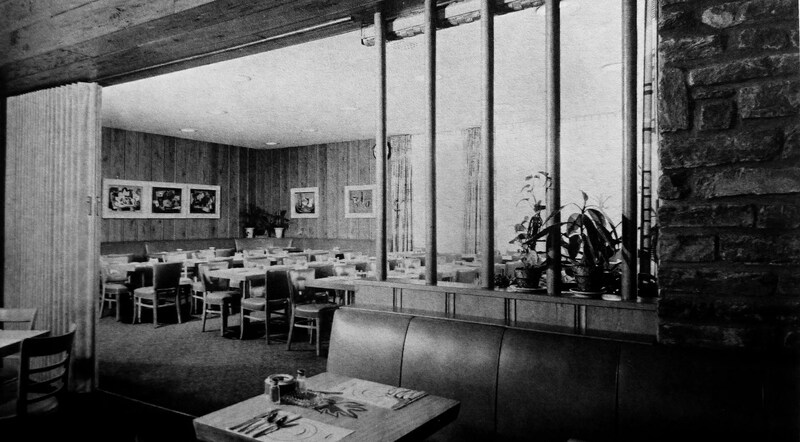 Hot Shoppe’s” near me, as a kid, in the 70’s, located at Roosevelt Blvd. and Buselton Ave.’s which was also very good. I still have a couple of the “Orange Trays” with Logo on them, that were used as you chose your Food along the Buffet Line. 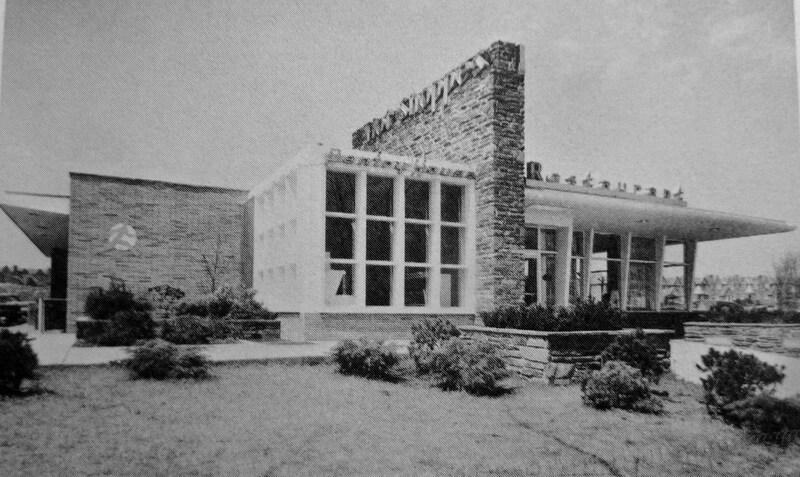 The Jr. Hotte Shop on the Boulevard later became a Roy Rogers. Now it’s a Boston Merket. This is 100% for sure the Jenkintown Hot Shoppes. Located at Old York Rd. and The Fairway it was technically in Abington Township. Further of note. The Marriott Hot Shoppes opened at The Fairway And Old York Rd. in 1960. This entire location had been part of the Baederwood Golf Course which had been sold. It was developed the into a shopping Center (The Baederwood Shopping Center) two automoble dealerships (Webb Cadillac and Pletcher Ford) and later expanded to an Acme Supermarket. The Marriott Hot Shoppes officially closed in 1982. The building was guttted and it became Fowler Shinn Buick. As I write this I’m told a CVS is going in to replace Barnes&Noble. Just what we need! Another “Fast Drug Store” who underpay their employees and overcharge their customers and have 30 security cameras per square foot . OK, off my soap box here. Hope I’ve helped you nostalgia lovers. The HSJr. at Broad and Stenton was closed and immediately demolished in, I think, 1972. A replacement Roy’s was built kitty korner at 6235 N. Broad, so the USPS could build a post office at the original site, The PO is still there; the Roy’s is long gone, replaced by some kind of community service.building. I went by there every weekday as a kid, when my stay-at-home mom drove me to and from elementary school.